JCude which open few months back is the latest shopping mall in the west. Most people will probably heard of it for the ice skating rink inside. OMY was nice enough to invite couple of blogger friends to check out the new mall. But not every inch of it cos that will take days to do a comprehensive walk-through so today will be just be focusing on Casio G-factory and Shaw JCude IMAX. Sheen, for the ladies, with shinny diamonds around the watch. Edifice, for the guys. wearing one makes you look 10x tougher. Protrek, for the adventurous people. Comes with lots of handy function for outdoor needs. 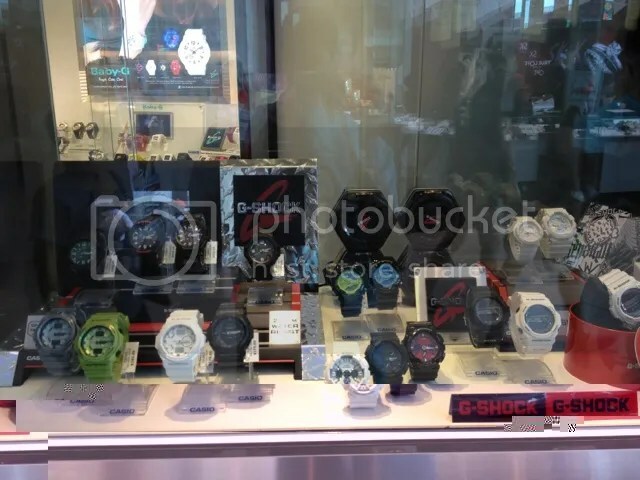 And of course, Casio’s trademark G-Shock. Need no explanation on this one. Very hardy piece of equipment. 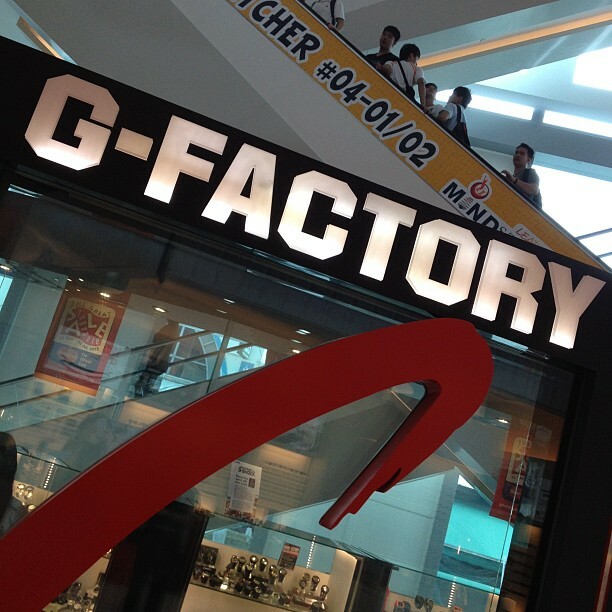 Btw do you know what does the G stands for? Frankly speaking I have no idea initially but our lady host was nice enough to share with us that it stands for Gravity. 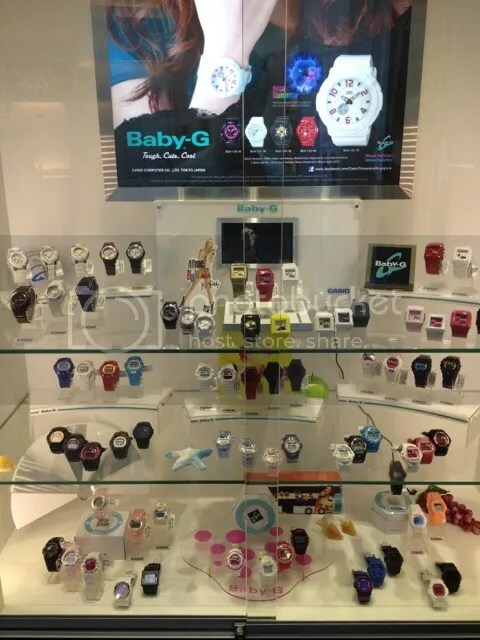 And lastly, the Baby-G, for the young and funky. And this just in. Popular Korean idol group Girls’ Generation is the new Baby-G ambassador. Check out Casio Singapore Facebook page for more happenings and good deals. And now moving on to IMAX. This is the first time I watch a movie in IMAX and I really enjoyed it. Bigger screen, better sound system and better visual. Truly value for money if you a movie buff and want to enjoy a movie at it’s best presentation. Anyway on to some interesting facts about Shaw’s IMAX theaters you might not know. – Shaw Theatres is the exclusive partner of IMAX in Singapore. – JCube IMAX is Singapore’s second IMAX theater. Shaw Theaters LIDO IMAX is Singapore’s first IMAX’s Digital Theater. 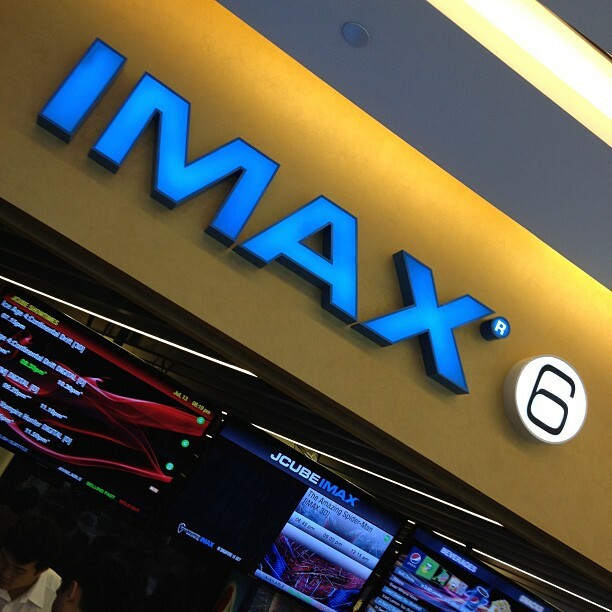 – The number of seats for the IMAX hall at JCube is 159 for 2D and 124 for 3D. – Shaw Theaters IMAX Digital Theaters follow strict guidelines laid out by IMAX. IMAX’s patented theatre geometry maximises your field of vision, and along with the projector’s dual image technology, special silver-coated screen and proprietary loudspeaker technology, provide the most immersive cinematic experience. The hall features a steeper gradient to ensure close proximity to screen for all viewers. – The IMAX Experience is recognised around the world as of the highest-quality and most immersive cinematic experience ever created. Movie fanatics were willing to wait two to three weeks for seats to the IMAX versions of major blockbusters like Transformers: Dark of the Moon, Harry Potter and the Deathly Hallows – Part 2, and Mission: Impossible – Ghost Protocol at Shaw Theaters LIDO IMAX! – The upcoming IMAX movie NOT to be missed will be Christopher Nolan’s epic conclusion to the The Dark Knight Trilogy. The movie opens in IMAX Digital on 19 July 2012. Half of the movie is shot with IMAX film cameras! Only in the IMAX theater will these scenes expand on screen to reveal even more details and bring to life the jaw-dropping, explosive action.